Sign up for Broadjam today to follow Vibe Walker, and be notified when they upload new stuff or update their news! Passionate music producer/beat maker/television and film music composer located in Central Florida with numerous current music placements on major tv networks. 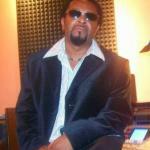 I've been creating music since the early 90s with major credits for my works. With a diverse genre of music creation ranging from Hip Hop, EDM, Urban Soul, Dance, World Fusion, House as well as many others. Stop by, take a listen and be truly inspired. Major Placements: NBC "2016 Olympics in Rio"
Major Placements: BRAVO "Married to Medicine"
Major Placements: VH1 "Black Ink"